LOOSE: Lunar New Year Edition | Hot Jambalaya! Loose! The Lunar New Year Edition. A Post-New Year Celebration. On Friday, February 26 wear your best East-Asian inspired wardrobe to celebrate the YEAR OF THE TIGER! 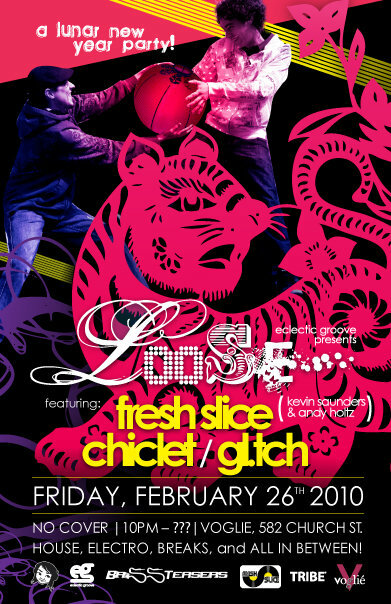 I’m opening this time around and the bomb-diggity duo Fresh Slice will be in the house to roll out the bangers like it’s Lunar’s Eve! They’ve been throwing some pretty dope nights at Nocturne over the past few months and we’re stoked to have ’em onboard.